james cameron | Podcasta la Vista, Baby! Same Make. Same Model. New Mission. We’re back! In Week Two of Terminator Month, we kidnap Joe Preti of the View from the Gutters podcast, and force him to help us break into Cyberdyne Systems headquarters. Our mission this time, to dive into the biggest Arnold Schwarzenegger blockbuster of all time: Terminator 2: Judgment Day. A decade later, another more advanced Terminator has arrived from the future to kill a now-ten year-old John Connor. But like before, it didn’t come alone. The human resistance has reprogrammed an older model, identical to the one that failed to kill his mother in 1984. Its new mission: to protect young John at all costs. That Terminator is out there! It can’t be bargained with. It can’t be reasoned with. It doesn’t feel pity, or remorse, or fear. And it absolutely will not stop… ever, until you are dead! 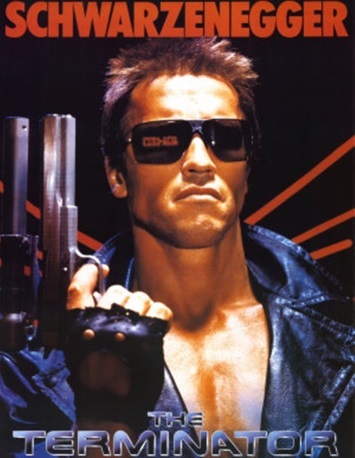 Welcome to Terminator Month, where every week we explore the franchise that made Arnold Schwarzenegger a household name. In Week One, we learn to assemble pipe bombs in a seedy motel with screenwriter Matt Goodman, as we look at the movie that started it all: 1984’s The Terminator. In the year 2029, the post-nuclear war against the machines has finally been won by a small human resistance. But the machines have one last gambit. 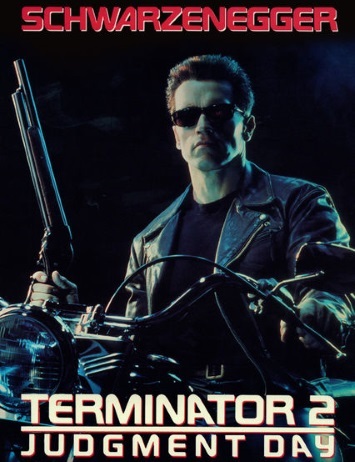 They’ve sent the perfect mechanized killing machine back to the year 1984, to kill a young waitress named Sarah Connor before she can give birth to the leader of the human resistance. The final battle for humanity will not be fought in the future, but in modern day Los Angeles.